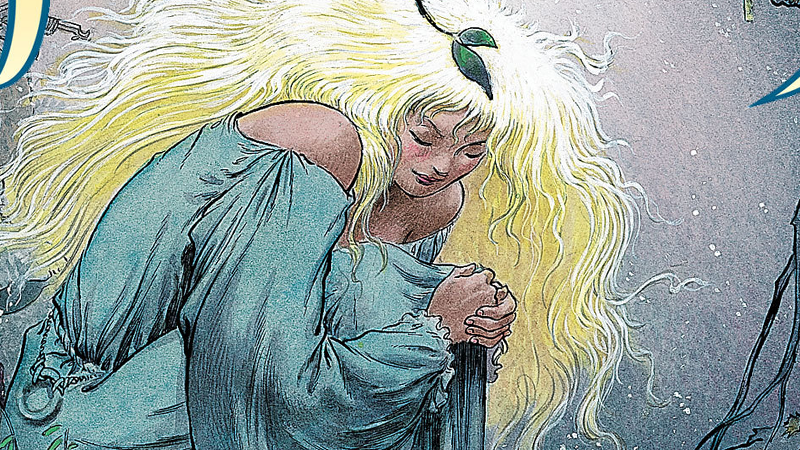 It seems like a BBC radio adaptation of Neil Gaiman is quickly becoming a winter tradition. This year, his fantastical romance adventure Stardust is the one getting the full-cast audio drama treatment. Directed by Dirk Maggs, the man responsible for both the adaptations of Neverwhere and Good Omens for BBC Radio 4, the drama will air in the UK (and be available online worldwide through the BBC’s website) this December. It stars Matthew Beard as Tristran Thorn, a young human who visits a magical dimension to capture a fallen star for his true love—only to discover the star has transformed into a woman named Yvaine (Sophie Rundle), requiring the pair to go on the run from other eager star-hunters. It’s not even the only Gaiman adaptation the BBC will air later this year: There’s also a return to the world of Neverwhere with an adaptation of the short story How the Marquis Got His Coat Back, airing in November. Lots to listen to for fans of all thing Gaiman this year!